RRP: £47.47 (+VAT). 50% OFF! 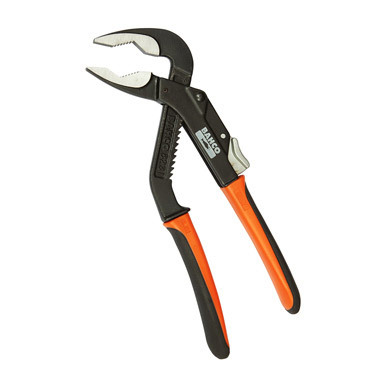 Bahco 8231 slip joint plier with high capacity / length ratio which enables the user to generate maximum power. With both flat and pipe-grip jaws. Ideal large water pump pliers for plumbers! Overall length: 8 inch / 200mm. Can be adjusted with parallel jaws in 13 different positions.